Grand Power's P45 features a CNC machined steel chassis with no MIM or cast components and a rotary locking barrel system. The frame has ambidextrous controls, a smooth, crisp double/single action trigger, and an ergonomic grip. The P45 also has a rotating barrel and an innovative polyamide handle for enhanced reliability and easier field stripping. Its stylish curved slide provides excellent handling and ergonomics with less lift and recoil. 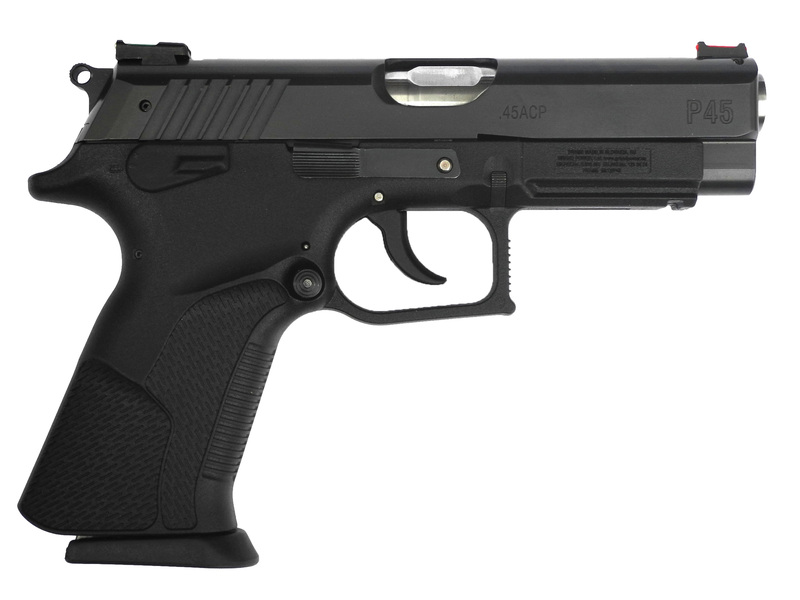 This model is chambered in 45ACP and has an ambidextrous mag release.